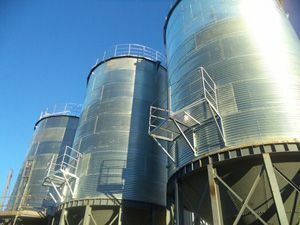 The storage silo is used to store bulk materials such as grains (wheat, maize, etc. 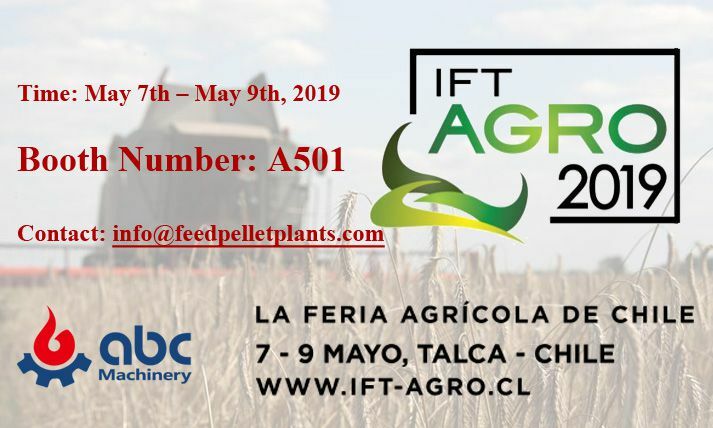 ), flour, and also cereal feed in agriculture. 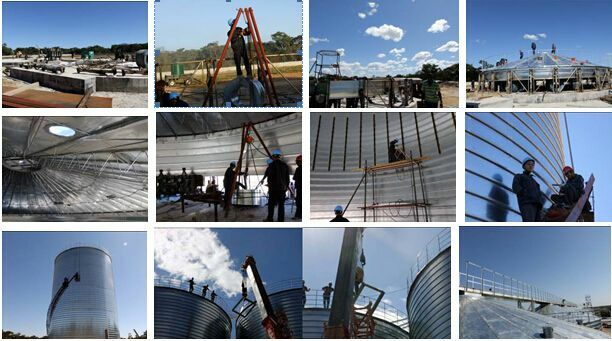 Flour mill plant, grain processing plant, oil & fats plant, animal feed plant, cements storage, water treatment, etc. 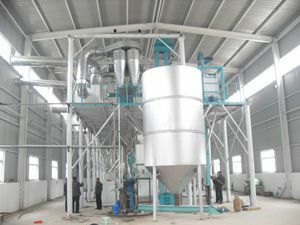 It adopts radial beam silo roof support system. 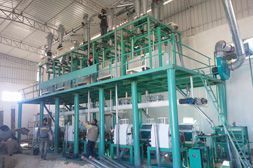 The hopper is made up of heeling, ring beam, conical plate, lacing wire, etc. Heeling is made from H shaped steel to improve the steel structure’s safety and reliability. 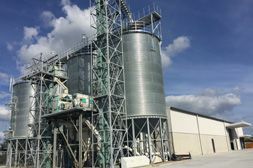 The ring beam is made from channel steel by compressing, which is used to support silo, connect heeling and conical plate. Conical plate is full assembly, the feature of which is erected well, beautiful, useful, safe and reliable.